And you don't need 'Billion Dollar Whale' money to afford it. The mastermind behind this spectacularly Jholly collection is A Piece Of Malaysia, or "Apom" for short. 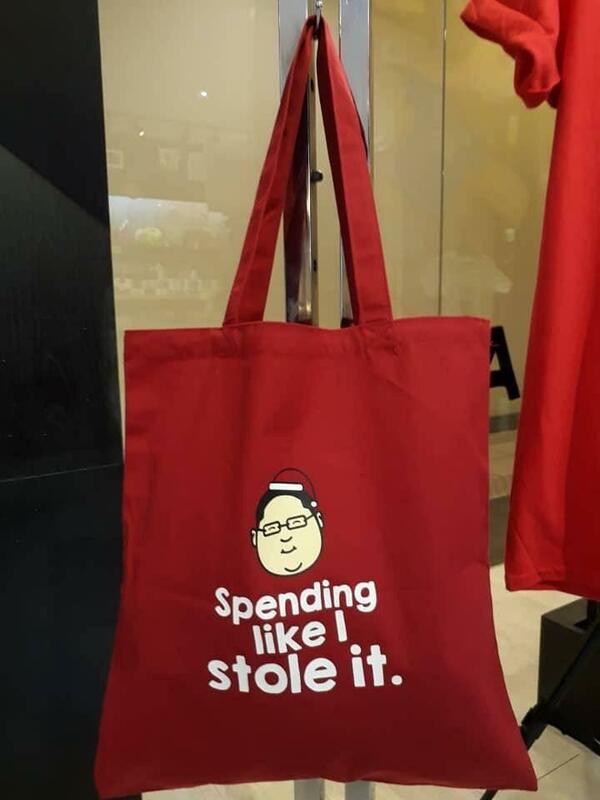 "Spending like I stole it." "Spend it like you stole it" is also available as a t-shirt! 2. These mugs make great festive cutlery, or maybe a gift for your office "Secret Santa"
The mugs are available in three variants: "Tis The Season Of Giving... Back", "Drink It Like You Stole It", and "Money, Party, Jholly, Repeat". On the other hand, the coasters come in a set of five - each with a different design. There are only two designs available for the greeting cards: "Jho! Jho! Jho! Merry Christmas!" 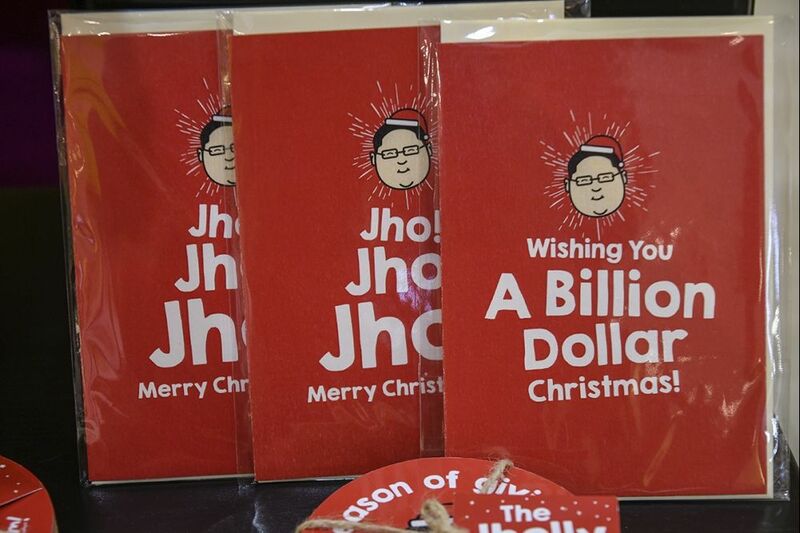 and "Wishing You A Billion Dollar Christmas". 4. Children - or just those who are young at heart - can get in on the action with the 'Find Jholly' book! In the same vein as the 'Where's Wally?' series, the 'Find Jholly' puzzle book features scenes - such as a party onboard the infamous Equanimity yacht - where readers need to spot Jholly, "an asian dude dressed like a candy cane". 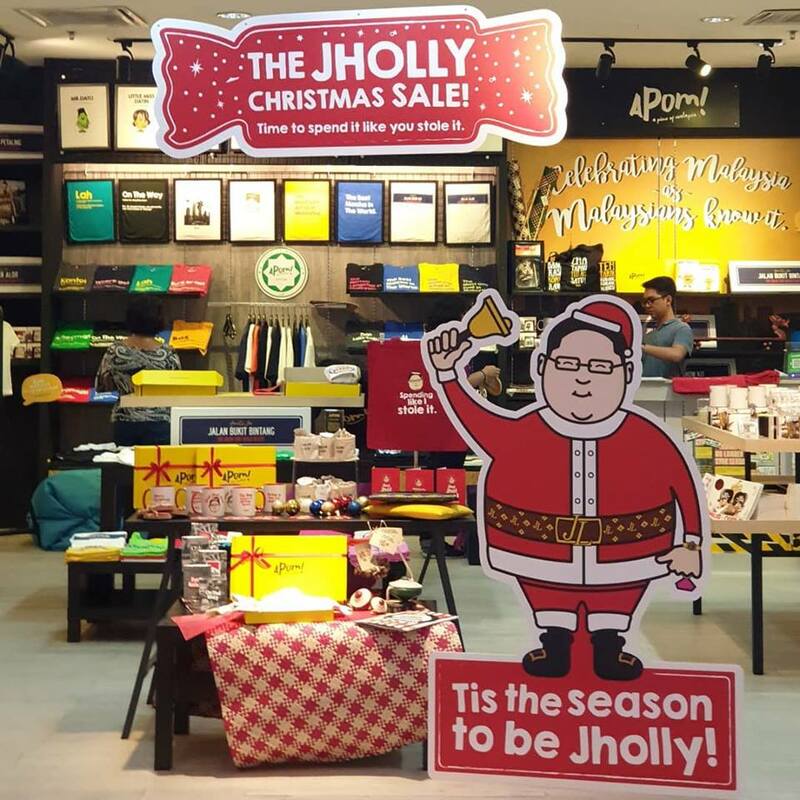 The Jholly Christmas Set comes with one t-shirt, one mug, one totebag, a coaster set, and a 'Find Jholly' book, which are packed in a large gift box and comes with a Christmas card. 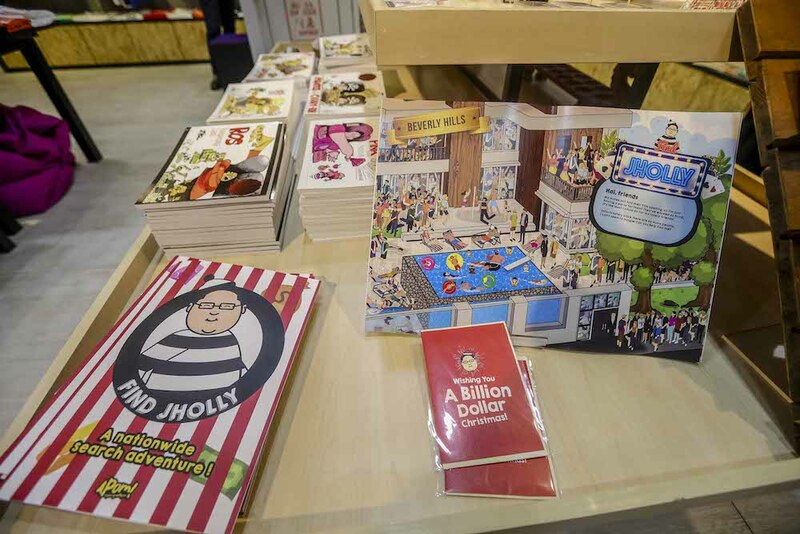 Apom prides itself as being the destination for "well designed Malaysian products beyond the typical landmarks and icons"
In an interview with The Malaysian Insight, Apom's co-founder Kelvin said they were using pop culture to spread the message about how serious the 1MDB scandal is, as it adversely affects many Malaysians now, and could affect future generations as well. Though if you asked them, they won't explicitly say who their main character is inspired by. If you drop by the store, you can also take photos with "Jholly" himself! 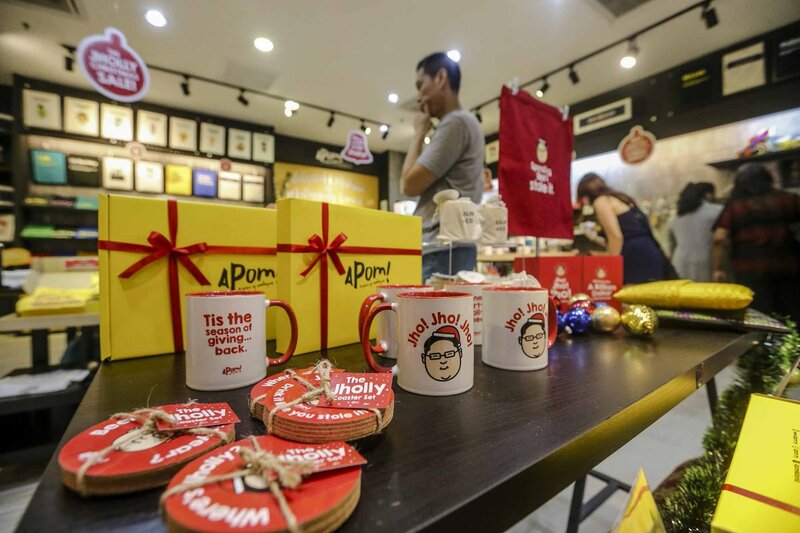 Apom is located at Unit F3C,﻿ Level 1, Bangsar Village 1. The book has sold out in major bookstores across Klang Valley since its release in Malaysia on Thursday, 13 September. In other whale-related news, there's going to be a movie and people want Malaysian comedian Jason Leong to play him! She will be partnering with 'Crazy Rich Asians' production company, SK Global for the movie. SAYS got in touch with Dr. Jason to hear his thoughts.